The Green’s Harbour Heritage Society will hold its AGM at 7:30 on Feb. 26 in the multi-purpose room at the Salvation Army in Green’s Harbour. We will present our finances, our progress report and our board for 2016. Grant is an architect with his own firm, who volunteers much of his time with the Newfoundland Labrador Historic Trust. Grant is very interested in rural Newfoundland Labrador’s architectural history and has inventoried many of the province’s buildings in danger. He will speak about the unique layout of our outports and the importance of keeping it. Kathi is a Green’s Harbour girl, who is the Executive Director of the Legendary Coast DMO. 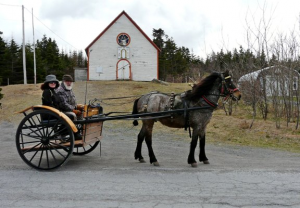 Her job takes her to every nook and cranny of Eastern Newfoundland and she will speak to us about the economic importance and opportunities that heritage and tourism offer.